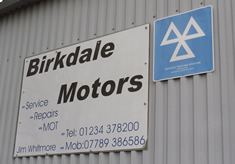 Birkdale Motors was set up in 2004 by Jim Whitmore. The company prides itself on providing a personal service with a high level of expertise across most makes of cars and light commercial vehicles. Jim has over 35 years experience in the motor trade. He completed his apprenticeship with Nissan after carrying out a city and guilds apprenticeship and also qualifying as an MOT tester, before moving to Ford. Jim then moved to Saab for 7 years then he then on to Mercedes Benz where he gained the status of master technician. Jim finally moved to Audi then back to Mercedes Benz for a further 3 years at Milton Keynes as team leader of 4 technicians and continued gaining advanced knowledge from specific training courses. Jim formed Birkdale motors and soon gained a solid and loyal customer base. 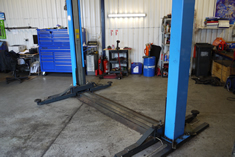 Birkdale motors has continued to invest in technology and is able to diagnose repair most makes of vehicle, engine management (petrol and diesel), ABS, traction control, air conditioning diagnostics, service and repair (F. Gas registered).